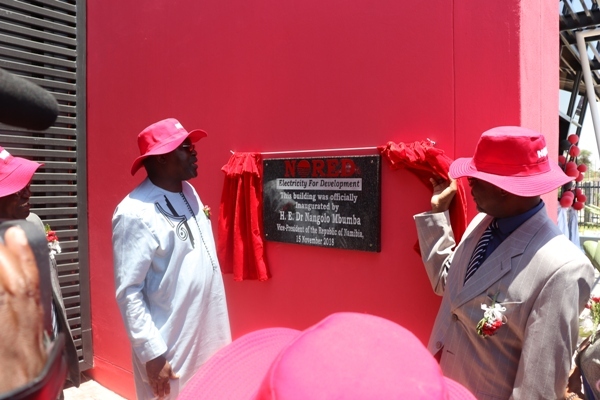 NORED has officially opened its newly constructed state-of-the-art building in Rundu, on Thursday 15 November 2018. His Excellency, Dr. Nangolo Mbumba, Vice President of the Republic of Namibia who officiated at the inauguration ceremony commended the company for investing in infrastructure development which is in line with Pillar 4 of the Harambee Prosperity Plan. 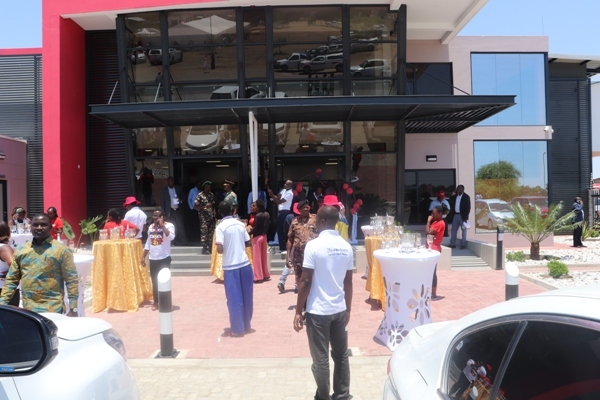 The brand new office will serve as a Regional Head-Quarter for three (3) regions, namely, Kavango East, Kavango West and Zambezi Region. This Office is constructed with a principal objective to improve, efficiently and effectively deliver and bring services to the people. This is a fully-fledged office that will offer all services such as application for new connection, payment for accounts, maintenance and operation of the network and other electrical related service. This building is fully funded by NORED at a tune of N$30.7 million. It is a double-storey, consisting of with twelve (12) staff offices, two (2) boardrooms, two (2) waiting area, electricians workshop and material store-room.